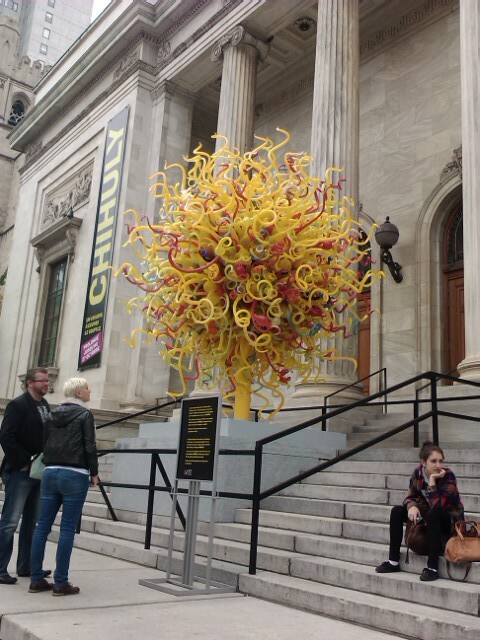 A recent trip to one of my favorite Canadian cities had me waiting in line at the Dale Chihuly exhibit at Musee des Beaux Arts. Several years ago I watched a fascinating documentary about the American glass artist and his studio method. His exuberance for trying new things and pushing towards the seemingly impossible was inspiring. 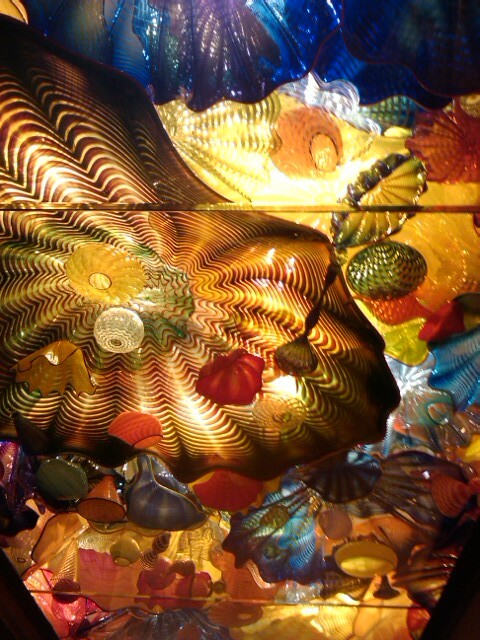 The glass works shown in the following photos is just a small sampling of this tremendous talent. This is at the entrance to the old building which is across the street from the new entrance. 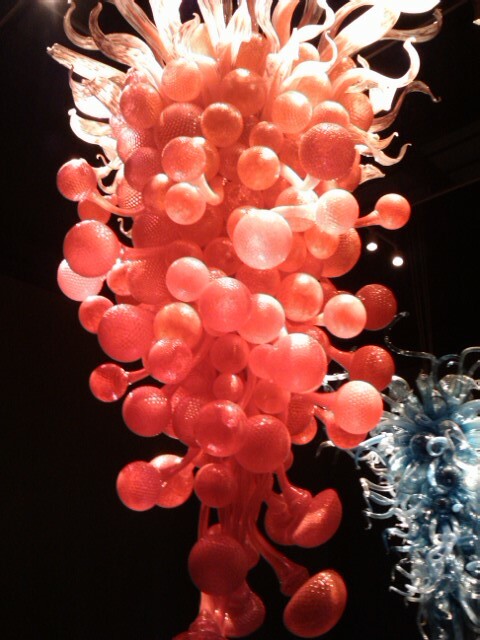 This is a large museum. This glass explosion is about 12′ across. These two are mounted as a ceiling. 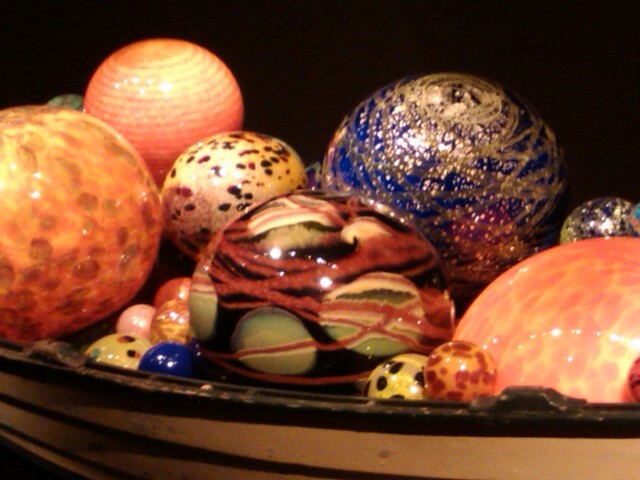 They are resting on thick glass and lit from above. 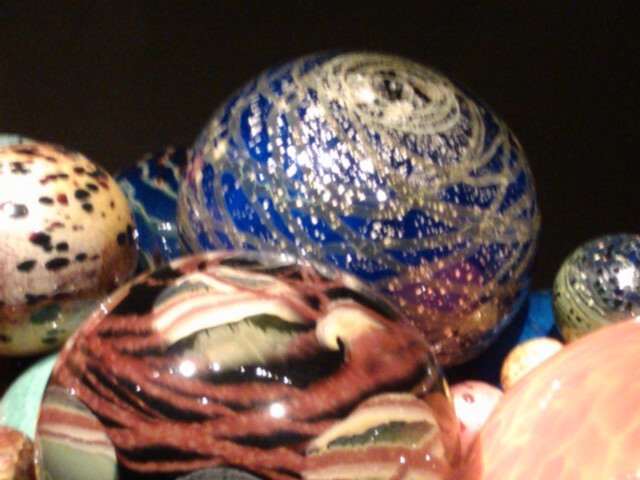 some of the pieces were almost a meter across. The documentary I watched showed how is pool has the floor like this. Beautiful. 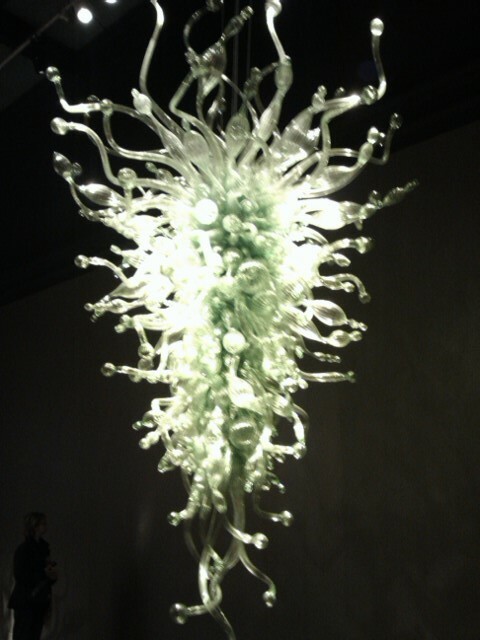 These 2 chandeliers are both lit from above and seemed to made of hundreds of components. They were about 3.5 to meters long. Then we entered this underwater forest al on black glass to reflect back. That large white disk is about 1 meter across and those red spikes are about 2 meters tall. 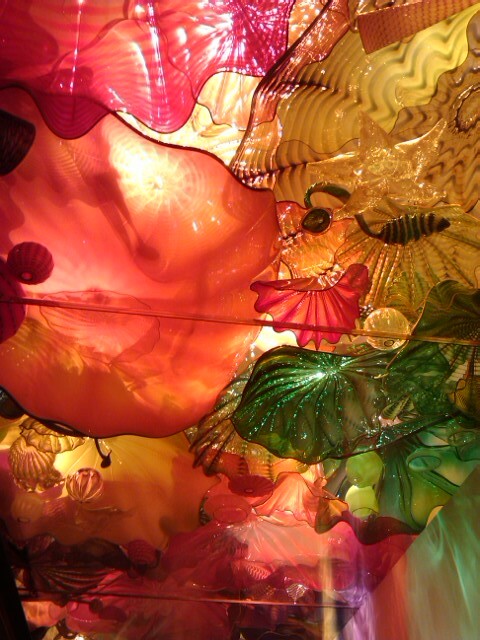 Remember this is all blown by hand glass. 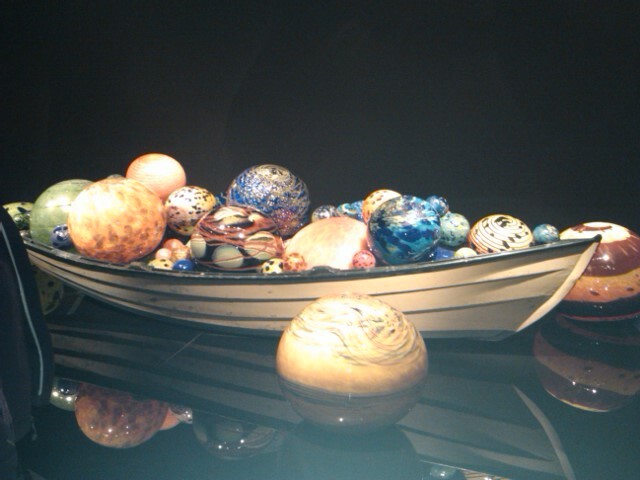 These boats of huge glass balls on a lake of black glass were enchanting. 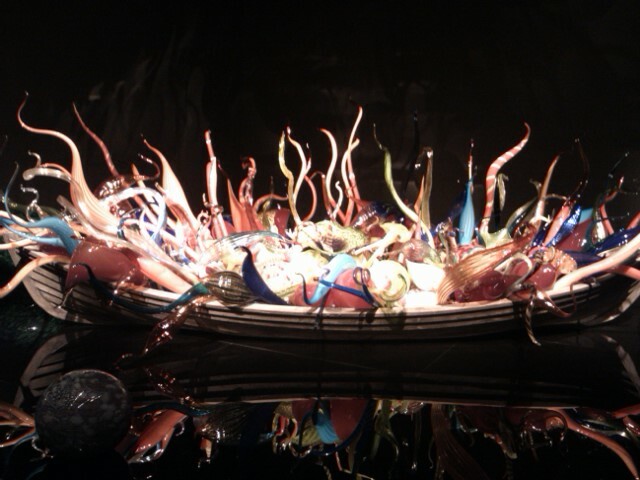 Finally this last boat of glass rods. 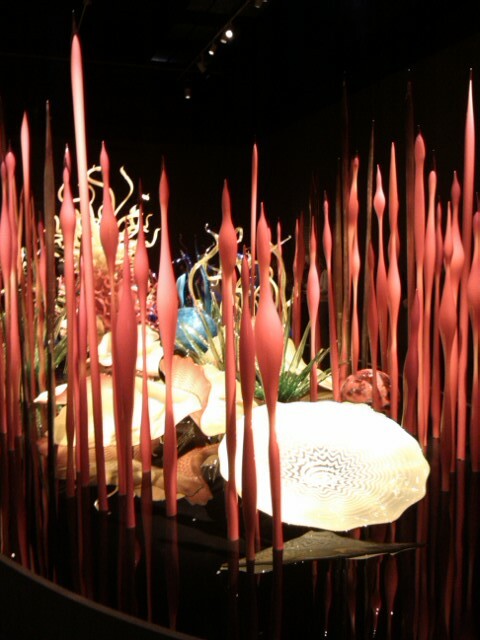 There were several more rooms but I didn’t know that you could take pictures and tweet etc.. during the exhibit so I only had my phone which isn’t the best camera. I highly reccomend seeing this exhibit wherever it is travelling to next and checking out the documentaries where he makes these object. It fascinating. Posted in The Outings of Le Petit Chapeau and tagged Barrie, Dale Chihuly, exhibit, Fascinators, Glass blowing, Hat, hat shop, Hats, Lakeshore Mews, Le Petit Chapeau, Meaghan Armstrong, Millinery, Montreal, Musee des Beaux Arts, vintage, Women's Accessories. Bookmark the permalink.